Florist Notes: Enhance your gift with chocolates, a teddy bear and some themed mylar helium balloons. Select a large card add on and your message will be hand written. 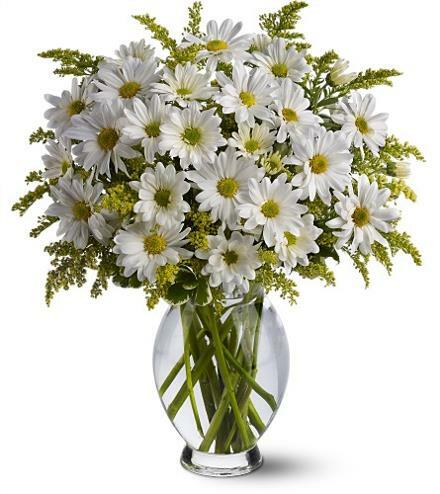 Arrangement Details: Choose from all white daisies, all yellow, all mauve, white and yellow, mixed colors.